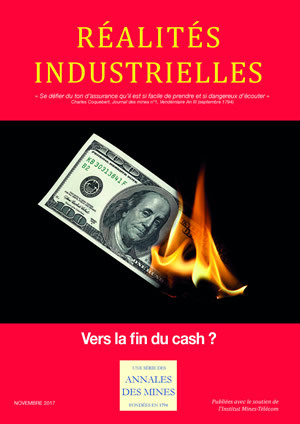 Réalités Industrielles - Novembre 2017 - Vers la fin du cash ? November 2017 - Towards the end of cash? Dare make a prediction about money? Is digital money disruptive for central banks? Instant payments, a substitute for cash? The Instant Payment revolution: Who are the players? Toward a world without banks?